LOCOMOTIVE ROSTER: Enginehouse located in Lakeville - click on an engine # for a picture - those pictures which are not mine were used without permission and were taken from www.railroad.net, www.lalrr.com, and gelwood.railfan.net - so credit to these webmasters. ONCT 418 ALCO RS-36 1962 83697 Victor ex ONCT 86, exx NW 2865, exxx NKP 865 - On the Ontario Central and owned by the Ontario Central. BH 422 ALCO C424m 1963 3358-14 Cohocton ex GTI 451, ex MEC 451, ex ST 74, exx D&H 74/455, exxx CR 2488, exxxx EL 2414 - assigned to the B&H Rail Corp.
WNYP 630 ALCO C630m Falconer ex A&M 70, exx CP 4500 - assigned to WNYP - A&M paint on this locomotive will remain. 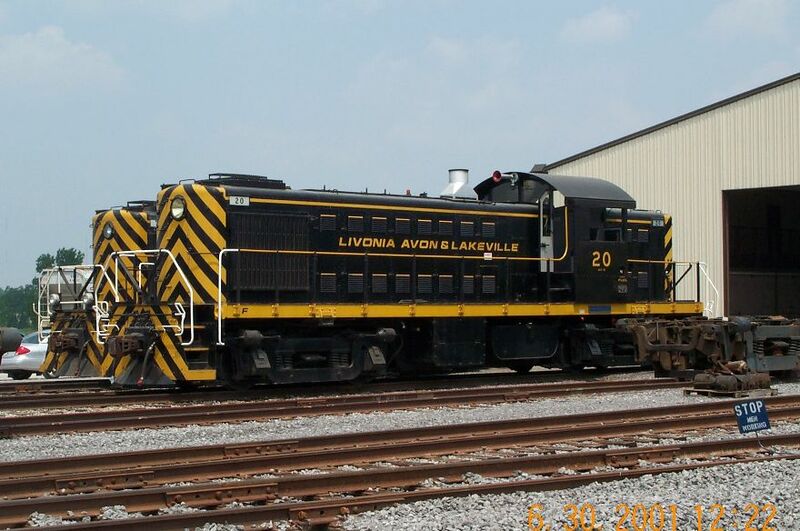 The Livonia Avon & Lakeville (this page) - the "original" LAL - former Erie RR between Lakeville & Avon, plus trackage acquired from Conrail in 1995 from Avon to Henrietta, including former Lehigh Valley trackage in Henrietta and Genesee Junction and Chili - 27 miles total. B&H Rail Corp - former Bath & Hammondsport Railroad, the Steuben County IDA's trackage between Bath and Wayland, and trackage leased from NS between Bath and Painted Post - 52 miles total. 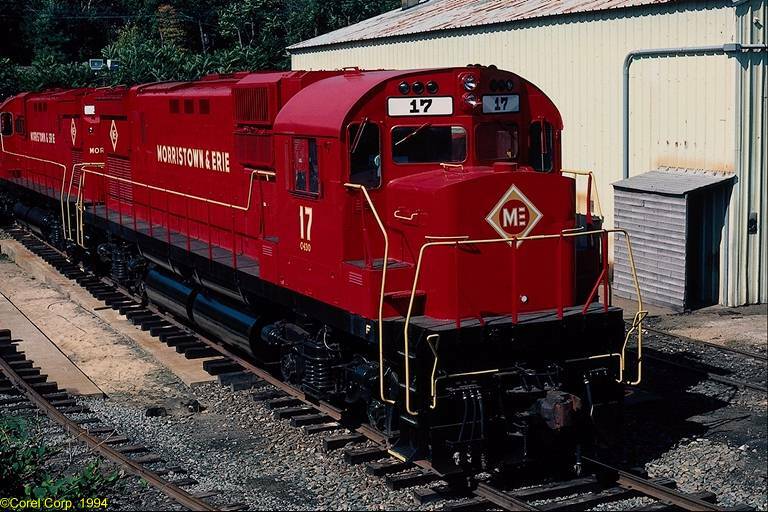 Western New York & Pennsylvania Railroad - the newly formed subsidiary of the LAL now operating the 145 mile Norfolk Southern Olean Secondary between Hornell & Meadville, PA. This trackage also includes the recently acquired Northwest Pennsylvania Railroad Authority's line between Meadville and Corry - bringing the WNYP to a total of 187 miles. The Livonia, Avon and Lakeville traces its roots back to when the Erie-Lackawanna Railroad abandoned part of its Rochester Branch in 1964. A group of investors got together to purchase the line connecting the communities that it's named after. The Livonia-Lakeville line was abandoned in 1981. 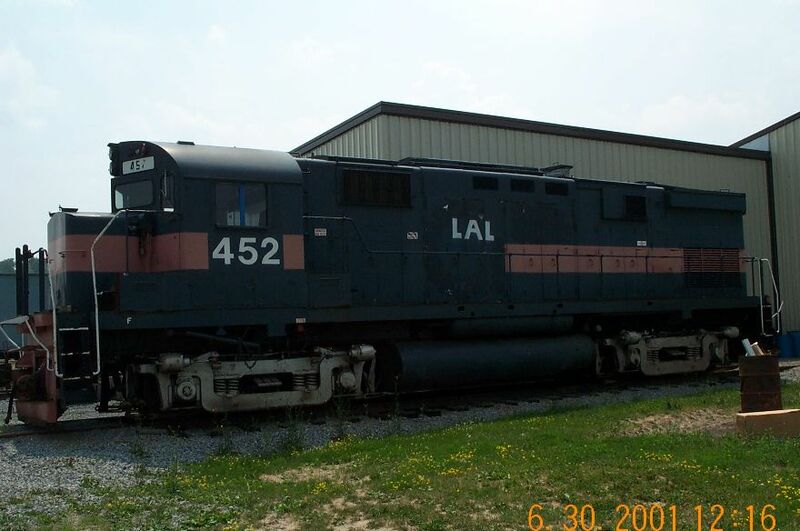 Until 1995, the LAL interchanged with Conrail in Avon. Because of Conrail's desire to sell off its branches to smaller shortlines who would be able to server these customers better, the LAL seized the opportunity to expand it's railroad. 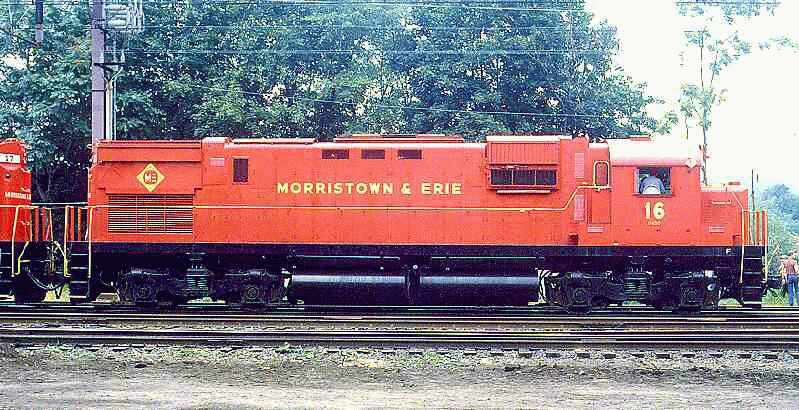 The Conrail Mortimer Secondary and the Rochester Industrial Track was purchased for an undisclosed sum in 1995. This expansion allowed the LAL to service customers in Avon and Henrietta - and eliminated an overhead Conrail move from Henrietta to Avon. The LAL now interchanges with CSX and the Rochester & Southern at Genesee Junction in Chili. 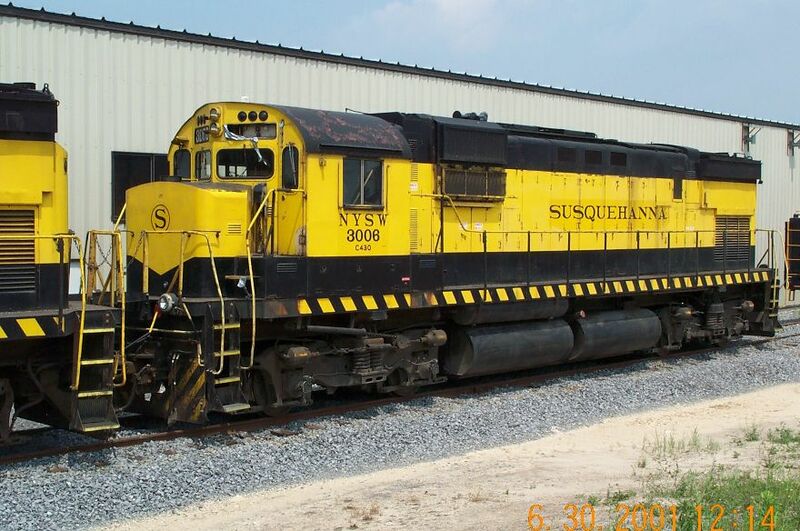 The LAL also maintains trackage rights to the R&S's Brook Avenue Yard for interchange and haulage rights to the NS interchange in Silver Springs. The LAL has since expanded in other parts of the Rochester region. In 1996, they acquired operating rights over the Stuben County owned Bath & Hammondsport - a 34 mile shortline between Bath and Hammondsport, and Bath and Wayland.. 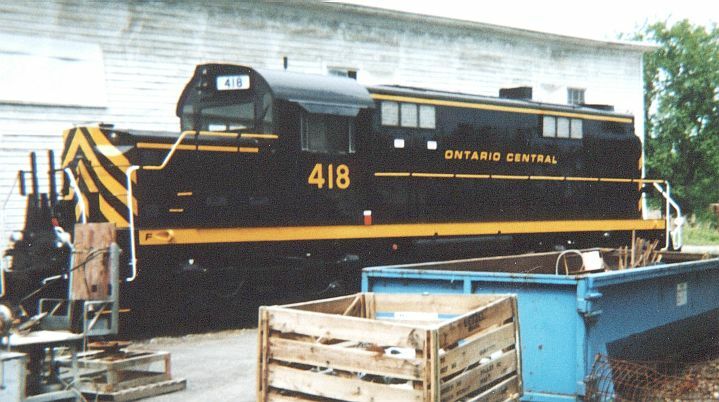 In October 1998, they purchased a controlling share of the Ontario Central - a 14 mile shortline between Victor and Shortsville. 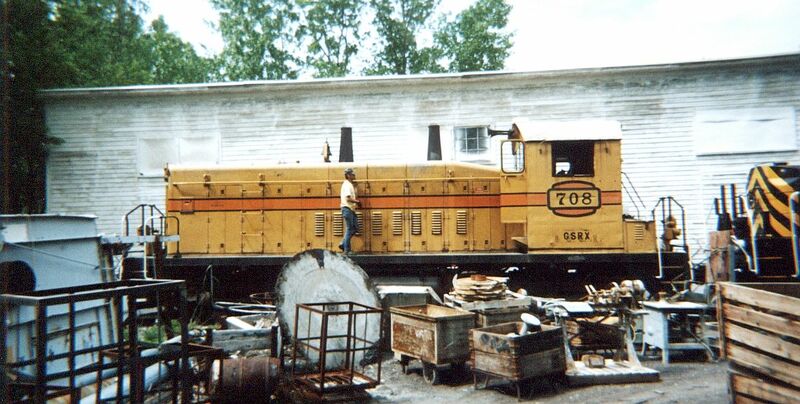 In 2001 and 2002, they acquired 187 miles of former Erie trackage between Hornell NY and Meadville, PA - the Western New York and Pennsylvania Railroad. The current LAL now runs from Lakeville to Henrietta and Genesee Junction in Chlil. in 1995, the LAL purchased 18.5 miles of trackage from Conrail, giving them direct access to Conrail's Genesee Junction and a total length of 27 route miles. This eliminated an overhead move of cars down the Mortimer Secondary to Avon by Conrail, and gave the LAL access to new and existing customers along the way. The LAL follows a route through Lakeville, Avon, Rush, Henrietta - and in Henrietta at Mortimer Junction, it continues west to Genesee Junction on a track that runs parallel to the Conrail (CSX) West Shore Branch. At this point, the line also runs south-east to West Henrietta on the former Lehigh Valley Rochester Branch to service a couple of customers off Lehigh Station Road. 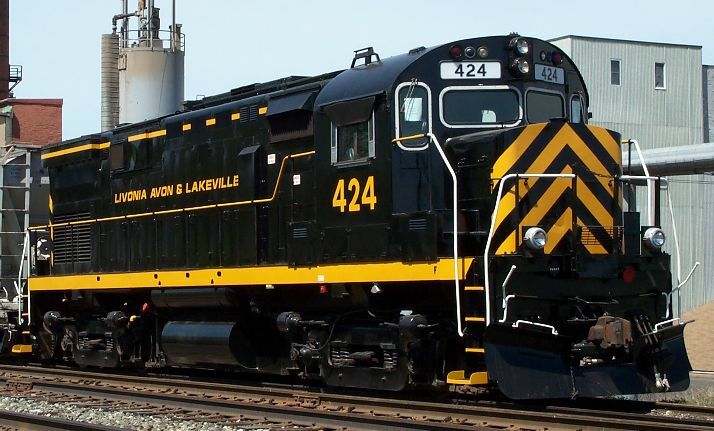 The Livonia, Avon, & Lakeville Railroad provides rail service for three shippers and a transloading facility in the Lakeville, NY area. 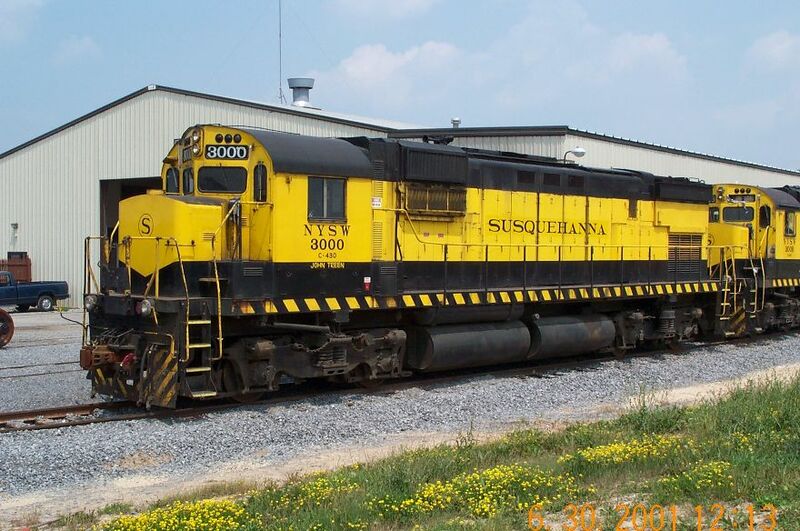 Approximately 90 percent of the Livonia, Avon, & Lakeville Railroad's traffic consists of inbound corn syrup destined to Sweeteners Plus, Inc., and ADM Corn Processing in Lakeville, NY. The Livonia, Avon, & Lakeville Railroad also handles inbound fertilizer and chemicals along with outbound grain and wood products. The Livonia, Avon, & Lakeville Railroad interchanges all of its traffic with Conrail at Genesee Junction in Chlii. Over a six-year period, traffic on the Livonia, Avon, & Lakeville Railroad has more than doubled from 1,435 carloads in 1992. 2,000 in 1996, to an estimated 3,300 carloads in 1998. 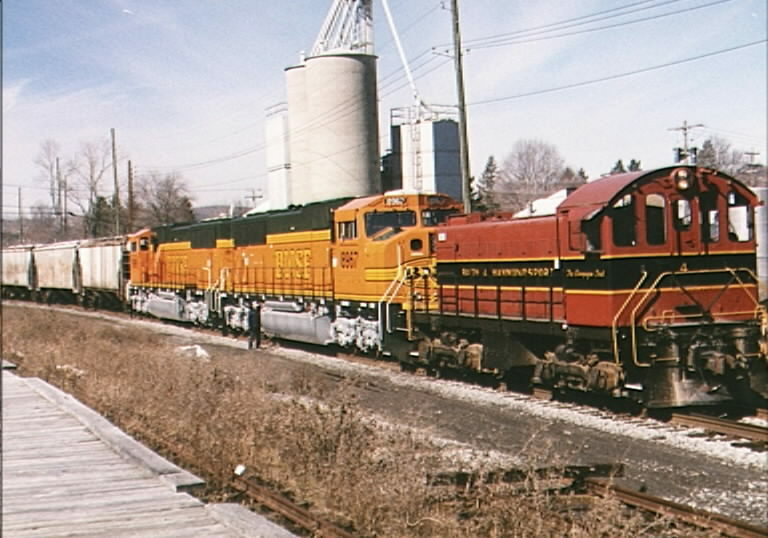 On March 31, 1996 the Surface Transportation Board issued an exemption to the Livonia, Avon, & Lakeville Railroad Corporation to acquire and operate an 18.49-mile line of railroad known as the Rochester Line, located between Rochester, NY and Avon, NY. 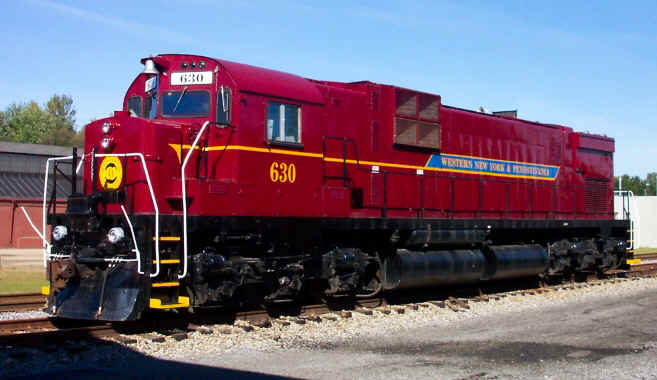 The line had previously been owned by Conrail and had been refereed to as the Rochester Industrial Track and was packaged together for sale as the "Rochester Cluster". The Rochester Line currently has six active rail shippers. Conrail had also used the line for the overhead movement of traffic to and from the Livonia, Avon, & Lakeville Railroad's existing line between Avon, NY and Lakeville, NY. The Livonia, Avon, & Lakeville Railroad stated that the transaction would simply allow end-to-end segments of the same branch line to be unified under the Livonia, Avon, & Lakeville Railroad ownership and control. The Rochester Line extends east-west, between milepost 361.59 at Genesee Junction - Chili, and milepost 360.00 at Mortimer Junction - Henrietta, a distance of 1.59 route miles, paralleling Conrail's West Shore Branch. The north-south segmant is between milepost 380.0 at Mortimer, NY and milepost 366.2 at Avon, NY, a distance of 13.8 route miles. A short branch extends northwest-southeast between milepost 388.0 at Mortimer Junction and milepost 384.9 at Lehigh Station Road in Henrietta, a distance of 3.1 route miles, terminating just past Matthews and Fields Lumber, on online customer. The Rochester Line connects at Genesee Junction in Chili, with Conrail's West Shore Branch, a route that by-passes downtown Rochester, NY on Conrail's main line across New York State. The Rochester Line carries traffic, including inbound lumber, fertilizer, and vegetable oil and outbound bagged beans. Of the six active shippers on the Rochester Line, three are located near the former Conrail-Livonia, Avon, & Lakeville Railroad interchange at Avon, NY. The remaining three are located on the northern end of the line, two near Henrietta, NY, and the other one (the largest) near Brighton, NY and adjacent to Conrail's West Shore Branch. 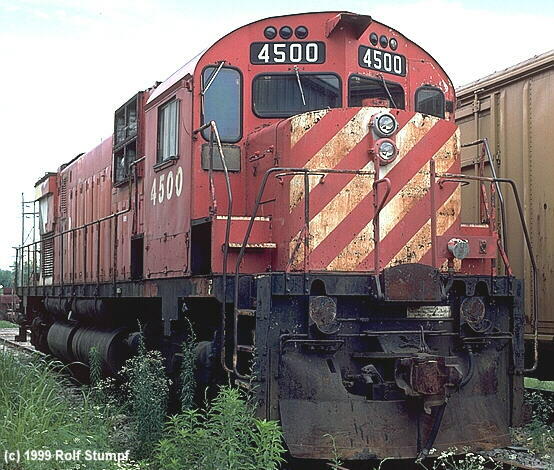 These shippers originated or terminated 399 carloads of traffic in 1995. The Livonia, Avon, & Lakeville Railroad indicates that no traffic is generated on the middle portion of the Rochester Line. Conrail had provided service on the Rochester Line twice per week with a local train assignment to Conrail's Genesee Junction Yard in Chili, NY. The transaction also enables the Livonia, Avon, & Lakeville Railroad to move traffic directly to and from the Genesee Junction Yard and to connect to through-train service on Conrail's Chicago Line (the Buffalo Mainline). The Livonia, Avon, & Lakeville Railroad also stated that its acquisition of the line would eliminate the need for a separate Conrail local train movement between Avon, NY and Rochester (Chili), NY. As part of the STB approval for the Conrail breakup, the LAL was allowed to purchase Genesee Junction Yard from Conrail (CSX). This will give them access to NS via the Rochester and Southern Railroad as well as switching rights, thus eliminating a paper barrier that Conrail created in order to prevent through traffic between the LAL and the RSR. The Livonia, Avon, & Lakeville Railroad has increased the level of service on the Rochester Line from twice to three times weekly, with more frequent service as business dictates. 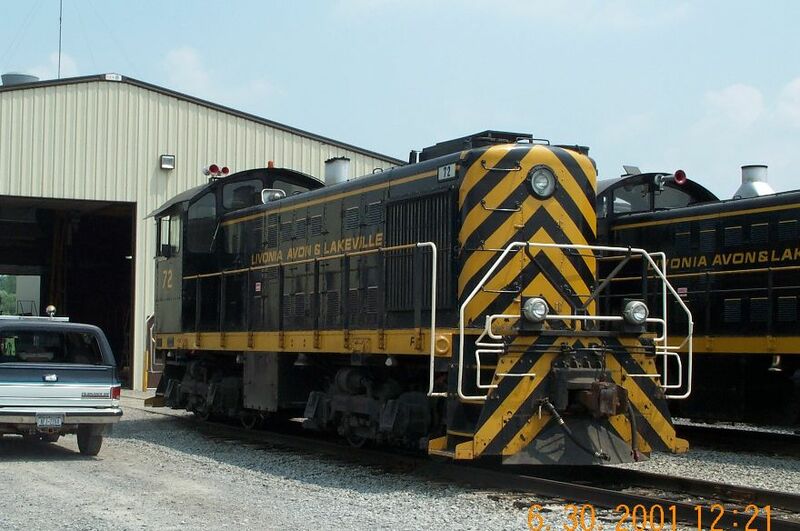 In May 1998, the LAL purchased a business car from the Arkansas and Missouri. The origins of the car dates back to 1884, but has since gone under considerable changes to what it is now - a heavyweight steel car with 6-wheel trucks. It spent most of the 20th century with the Canadian National until 1988. 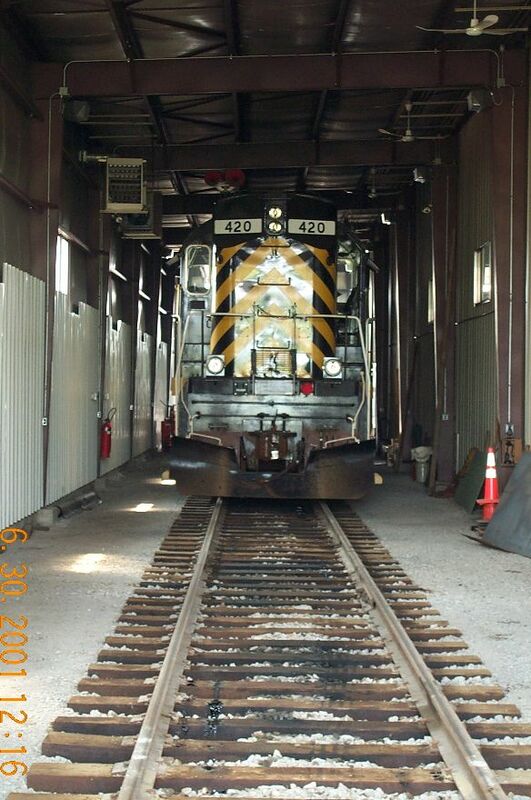 It has seen some use for business excursions for customers and DOT officials. 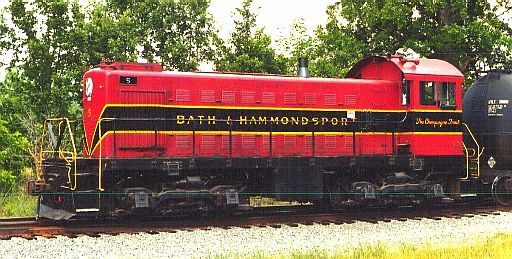 In January 2001, the Conhocton Valley Railroad Corporation was formed to operate the former Bath & Hammondsport and Steuben County Industrial Development Agency's trackage between Bath, Hammondsport and Wayland. From April 1996 to December 2000 - this was simply known as the LAL's Southern Division. 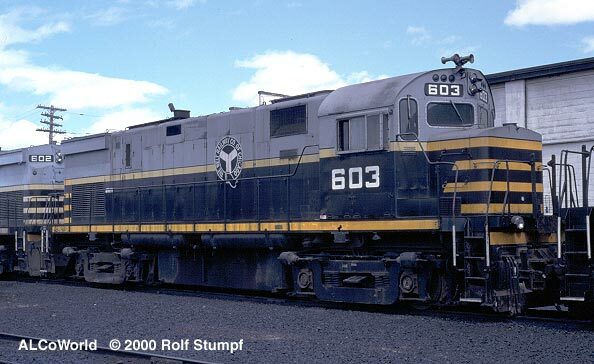 In February 2001, the LAL created a new subsidiary, the Western New York and Pennsylvania Railroad to operate the 145 mile Norfolk Southern's Olean Secondary between Hornell and Corry, PA. Plans call for rehabilitating the long mothballed line and developing new business. Visit the WNYP's website for more information on this exciting new venture for the LAL. Eugene H. Blabey, II, 65, has been elected vice chairman of the Board and succeeds Brackett D. Clark as chief executive officer. Mr. Clark continues as Chairman of the Board. Mr. Blabey, who previously served as LAL president, continues as chairman and chief executive officer of LAL's subsidiaries. William D. Burt, 50, has been elected president and chief operating officer. He previously was vice president and general manager. Mr. Burt continues as president and chief operating officer of LAL's subsidiaries. Larry A. DeYoung has been elected corporate secretary. He succeeds Sergeant W. Wise, who continues as general counsel to the company. Linda M. Fox has been elected treasurer and controller. She was previously accounting manager. Thomas C. McTighe, Jr., has been elected vice president  engineering and construction. He previously was vice president  engineering. Robert H. Swayne, Jr., has been appointed as chief engineer for LAL and its subsidiary railroads. He previously was with Pandrol USA, LP. 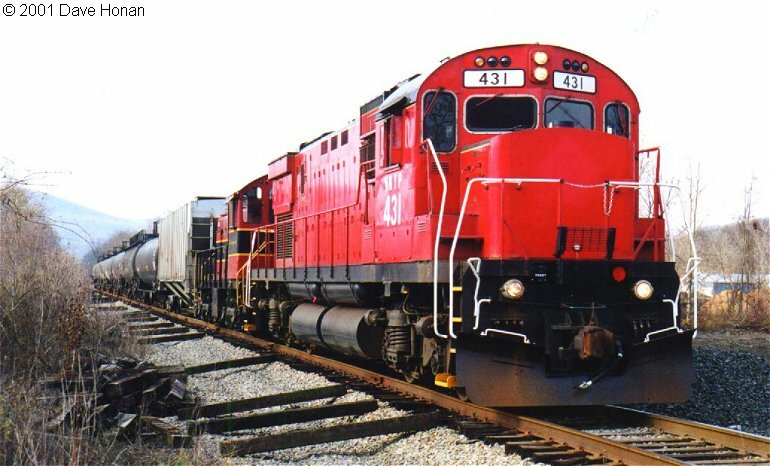 Founded in 1964 as a 13-mile short line railroad, LAL operates a 282-mile system of railroads in western New York and northwestern Pennsylvania. They include LAL, Cohocton, N.Y.-based B&H Rail Corp, Victor, N.Y.-based Ontario Central Railroad Corp., and Falconer, N.Y.-based Western New York & Pennsylvania Railroad, LLC. The company also has a track contracting subsidiary, Western Track Works, LLC. HISTORY: The line was built about 1853 by the Buffalo Corning & New York Railroad, whch eventually became part of the Erie. The Livonia Avon and Lakeville was incorporated May 7, 1964, to purchase an Erie-Lackawanna branch slated for abandonment. 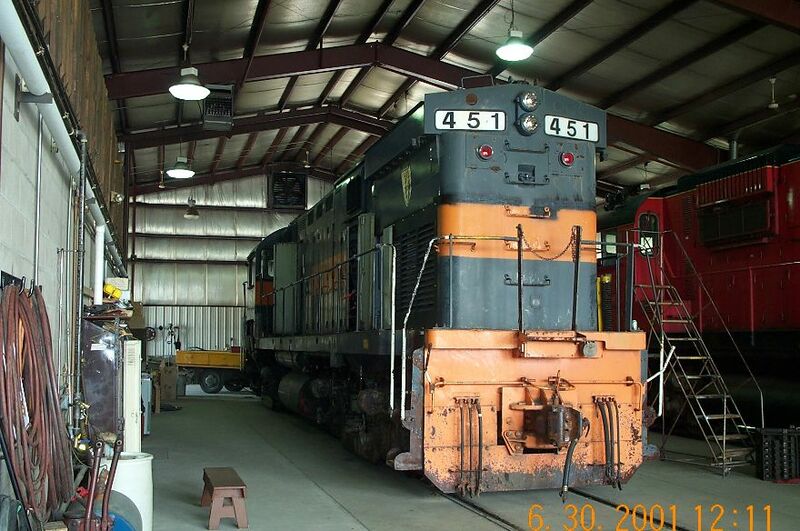 It began operations in December 1964 and operated excursions from 1965 to 1977. A portion of the line from Conesus Lake Junction to Livonia was abandoned in 1981. In 1996, the Conrail line from Avon to Genesee Junction and Henrietta was purchased.